Today, our new Vibrant smartphones arrived in the mail. There was much rejoicing and app downloading and setting up. 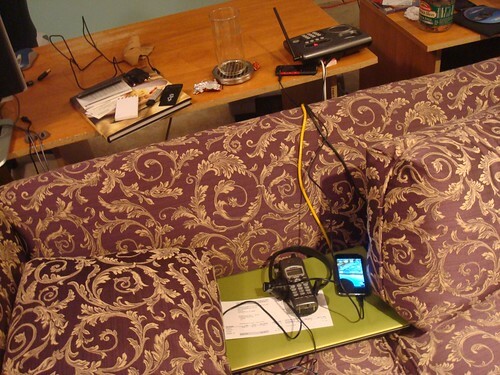 And at the end of the night I looked down and realized--laptop, house phone, smartphone--all had drifted together into a fusion of computing and communication superpower. This is what my couch looks like, too.